Cheers Buyers! We are the team at Ethan+Ashe and this is our first Kickfurther Co-Op. This Co-Op is for our flagship product, the Alkemista Alcohol infusion vessel. In case you missed our successful Kickstarter in 2016, Alkemista is an all-in-one infusion vessel that enables anyone to craft and serve fresh, custom crafted spirits at home or in a bar. Alkemista is forged from highly-durable, lab-grade borosilicate glass. 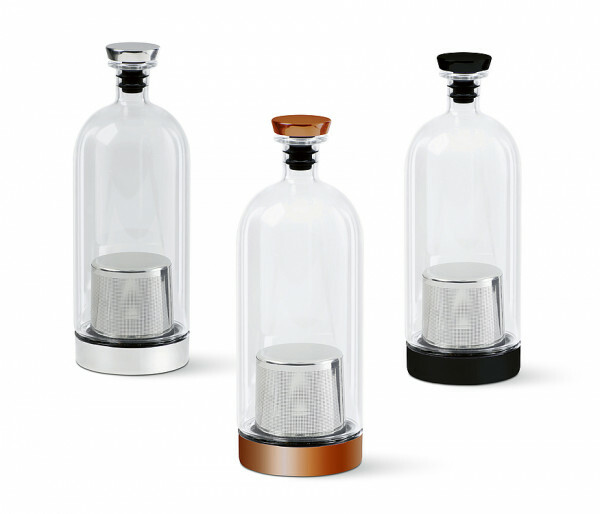 Inside, the ultra-fine stainless steel filter gently introduces the flavors and aromas of fruits, spices, herbs and botanicals into your spirits—while preventing unwanted particles from entering the infusion. Alkemista won a Red Dot Product Design award in 2018 and has received rave reviews from the leading men’s gear blogs like Gear Patrol, Uncrate, Cool Material and Cool Hunting. Alkemista is a Best Seller on Amazon, the Starbucks Roastery stores and men’s gear sites like Uncrate.com and Bespokepost.com — and is also sold at retail by hundreds of independent retailers across the U.S. and Canada! Our 2018 holiday sales grew by 200% and we are heading into the busy Winter gift show season. This inventory is in production and will delivery in late April 2019 for immediate shipping to retail and consumers. We have over 75+ independent sales reps and permanent sales showrooms in Atlanta, Las Vegas, Los Angeles and Seattle who are actively selling our products. We expect our sales to more than double again this year and are also preparing to launch several new products this Summer. Since we need to pre-pay for inventory being manufactured in China, we plan to use Kickfurther on a regular basis to help fund our inventory needs. We expect our deals will be of modest size and based on confident sales projections we can live up to. How would you rate Ethan+Ashe?